The C.M. 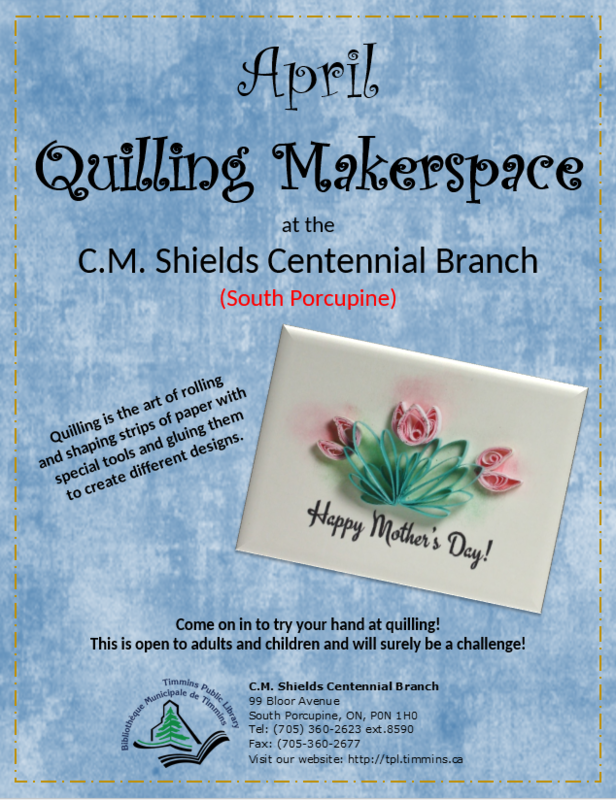 Shields Centennial Branch is having a Quilling Makerspace during the month of April. What is quilling you ask? Quilling is the art of rolling and shaping strips of paper with special tools and gluing them to create different designs. Come on in to try your hand at quilling! This makerspace is open to adults and children alike and will surely to a challenge! For more information, please call 705-360-2623 x8590.